It is always about the question of WHERE? 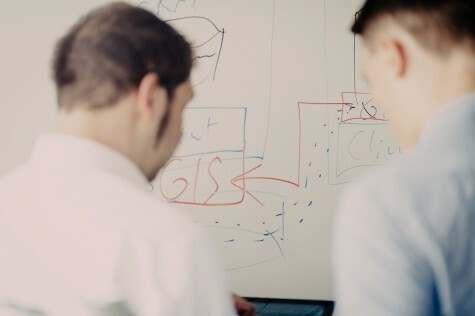 Spatial analytics with geomarketing software make the regional market activity transparent and help you to make strategic decisions based on well-founded and solid knowledge. Geomarketing gives your company answers to regional questions. Spatial data is the key. Geomarketing allows you to analyze your markets and visualize your company data on a small scale. The basis of geomarketing is internal and external data that have a spatial reference. This data is used and analyzed on digital maps with the help of a Geographic Information System. This is how geomarketing supports the planning, implementation and reporting of market activities. The primary areas of application for geomarketing systems are expansion, sales, marketing and reporting. Why Geomarketing - 4 Reasons are Obvious. 80 % of all company data has a spatial reference. What are the three success-relevant location factors? Location, location and location! A map says more than 1,000 words. 6 Benefits of Geomarketing or Why Geomarketing Works? Numerous business decisions raise spatial questions. Geomarketing software allows you to conduct comprehensive market and data analysis. The spatial information enables you to recognize relationships. The strength of geomarketing software lies in the spatial analysis of different data. 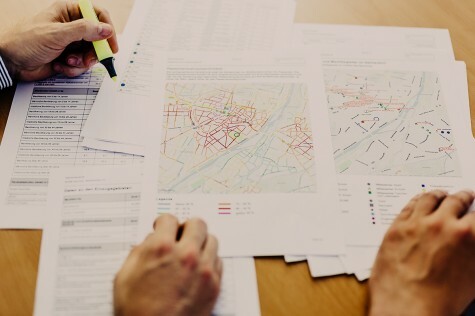 The results of a geomarketing analysis help with the rationalization and objectification of decision-making processes. Enrich your company data with coordinates and information on markets and target groups. The value and potential uses of your data increases. Generate new information by editing existing geodata and company data. The analysis methods and models used can be individually adapted to the company. The great flexibility of geomarketing software allows your application to perform a wide variety of services. More and more diverse data as well as web technologies are the current trends in Geomarketing. 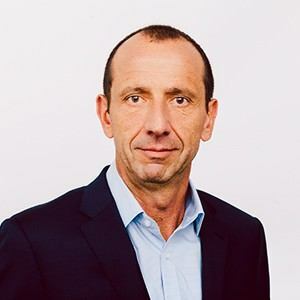 So are the assessments of the Geomarketing experts A. Prof. Dr. Petra Staufer-Steinnocher of the Vienna University of Economics and Business, Michael Fux of ProfileAddress Direct Marketing and Wolf Graf of WIGeoGIS. Watch the interview (english subtitles available). What do I use geomarketing for? With the right geomarketing software you can assess the potential of a location and its environment based on your individual location factors. The results help you to quickly assess real estate offers and the quality of their location. Geomarketing uses scoring models to allow you to compare locations objectively. The relevant location factors are standardized and a score is created for each location. This allows you to evaluate the profitability and future viability of the branch locations. Geomarketing analyses help companies to achieve the best possible branch network with optimal customer-store allocation. The goal is to plan a nationwide network that enables customers to shop without having to travel long distances. Location-allocation models help achieve this. Gravity analysis makes location-specific sales forecasts possible based on individual location and attractiveness factors. In this way, geomarketing helps you with your location analysis. Geomarketing analysis with industry-specific market potential data allows you to identify strengths and weaknesses of branch locations and sales territories at a glance. Geomarketing identifies areas where you can find your relevant target groups. GIS software visualizes and evaluates the areas on a map. How should I distribute my customers and sales? What is my regional market share? Where are there opportunities for additional growth? The spatial analysis of the competition is an essential part of any market analysis. Competition analyses help to correctly assess your own sales potential and successfully manage regional sales activities. Companies use geomarketing to plan or change their sales territories in the shortest possible time. The criteria for territory planning can include market potential, sales, number of customers and size or accessibility of the territories. 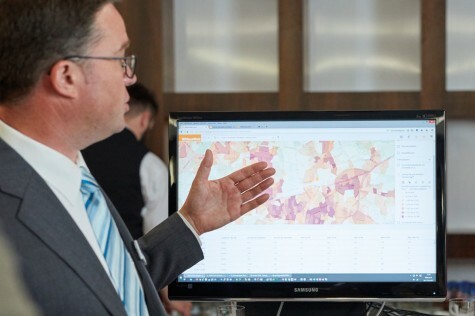 Geomarketing enables regional sales reporting based on KPIs. Customer, sales and territory data are combined in your geomarketing software and visualized on maps. Geomarketing helps to spatially identify your target audience based on their characteristics. Then you can choose the media that will offer you advertising with low scatter losses at an optimal cost in the right areas. Conduct your regional marketing only in the actual catchment area of your branch or retail locations. Geomarketing tells you exactly where it is. If your shop is stationary and online, then your marketing will also be cross-media. Geomarketing helps to spatially identify the market potential of the various sales channels and control it with a cross-media approach. What Do You Need to Successfully Use Geomarketing? 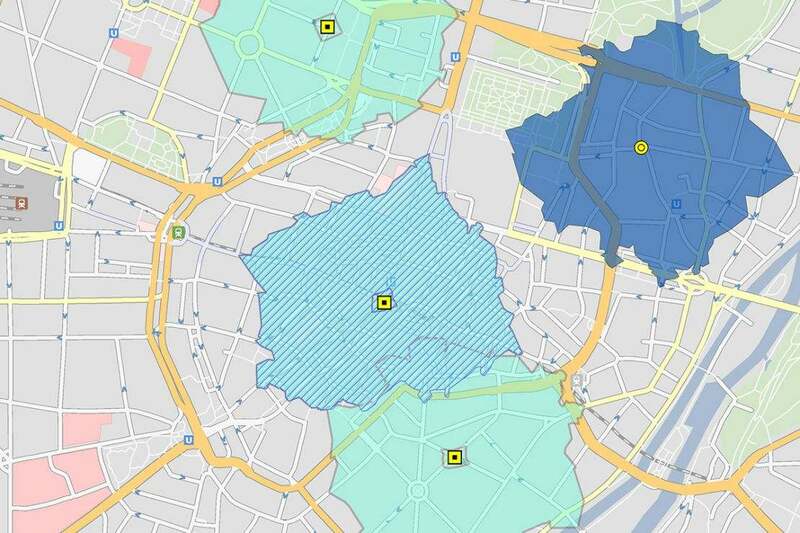 3 factors are crucial to the acceptance and success of geomarketing analyses. Only with current, correct data, the so-called market data, will you receive useful analyses. Market data consists of hundreds of characteristics on different spatial levels and describes markets, target groups, interests and customers. In addition to data, you need the right software to create a geomarketing analysis. The software allows you to easily create maps and visualize your data, edit spreadsheets and generate reports on your analyses. WIGeoGIS offers customized geomarketing consultation and training. You will learn geomarketing methods, the correct use of market data and the efficient operation of geomarketing software. How do map solutions help me in sales and marketing? 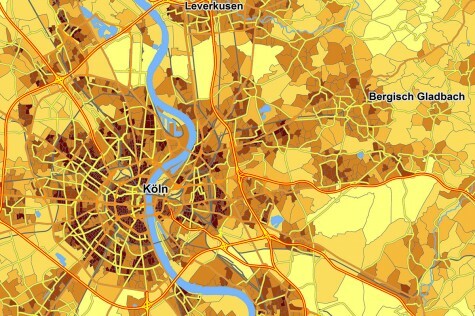 The visualization of company data on maps offers decisive benefits. Firstly, spatial relationships become visible that would remain hidden without geomarketing. Secondly, map-based analyses help you make strategic decisions quickly and confidently. People are visually oriented and best understand image-based information. A map is much more intuitive and easier to understand than long complex tables. Complex relationships such as accessibility of high-potential customers in sales areas can be displayed very clearly on a map.Consistent map-based analysis and a corresponding potential oriented sales management based on the results help to apply company resources more efficiently. How are the strengths and weaknesses of locations and areas made visible at a glance? Geomarketing allows you to directly compare your company’s key figures with the corresponding B2B or B2C potential. Geomarketing is perfect for regional target-performance comparisons, target planning and market or SWOT analyses. Reachability analyses, microgeographical scoring, gravity models for footfall probabilities and location-allocation models for network optimization all help you to conclusively analyze locations and regions with regard to their strengths, weaknesses and opportunities for growth. In addition, geocoding allows you to locate exact addresses for existing and potential customers and then display the numbers spatially. By comparing your own business figures with market potentials, you can identify regional market shares, white spots and potential growth regions. Up-to-date regional key figures help you to take targeted action for marketing, sales and expansion directly at the location. Which sociodemographic characteristics distinguish my target group and where can I find them? If the sociodemographic profile of your B2C target group is not sufficiently known, a customer structure analysis with geostatistical methods can help you determine typical characteristics and their spatial distribution. Furthermore, your customer base is enhanced with microgeographical information about the residential and business environment. Recurring attributes describe the common characteristics of your target group and at the same time provide information about relevant regional market data and address data for targeted potential analyses.